We talk about ad position quite a bit with our clients. Since it is somewhat misunderstood, we thought we would remind you what ad position does and does not do for your advertising. Does ad position affect click-through rates (CTR)? Yes. Does ad position affect your campaign’s cost? Yes. 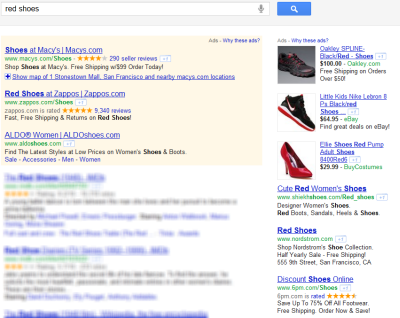 Do ads in the top ad position get more conversions? Yes. Does ad position affect conversion rates? No. That’s pretty straightforward, and you should trust Hal. To be more accurate, it’s totally possible that for any given account ad position may actually correlate with differences in conversion rates. But in aggregate – and in virtually all of the PPC accounts we have managed over the years – we have not found this to be the case. So, to recap: if you want more clicks, put your ad at the top. If you want more conversions, go for the top. But if you do that, you’re going to spend proportionately more money. Just don’t expect those clicks from the top to convert at a higher rate. It’s all the same when it comes to ad position and conversion rates.